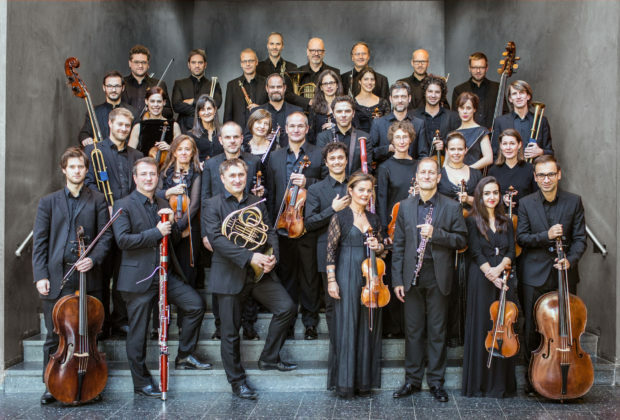 The Basel Chamber Orchestra is recognized as one of the leading chamber orchestras in the classical music scene. Invitations to the most important worldwide concert houses and festivals shape their agenda, as well as their own subscription concerts in Basel. Various recordings on classical labels like Sony, Deutsche Harmonia Mundi and Warner classics, many awarded with prestigious prizes, are witnesses to the excellent quality of the musical ensembles joy of playing together. Under the artistic direction of its concertmasters or under the direction of selected conductors, the Basel Chamber Orchestra presents its broad repertoire from baroque to contemporary music in about 80 performances per year. The association of principal guest conductor, Giovanni Antonini with the ensemble makes for a fruitful collaboration. A highlight being the Beethoven cycle which the orchestra and the outstanding baroque specialist worked on together. The historically informed interpretation were awarded the prize of «Ensemble of the year» by ECHO Klassik in 2008. The Basel Chamber Orchestra alternating with the Italian Ensemble Il Giardino Armonico will perform and record for CD, under the baton of Antonini, all of Haydn’s 107 symphonies up until the year 2032. Further major projects will be concerts and recordings of all Schubert symphonies under the leadership of Heinz Holliger as well as a series of concert performed operas.